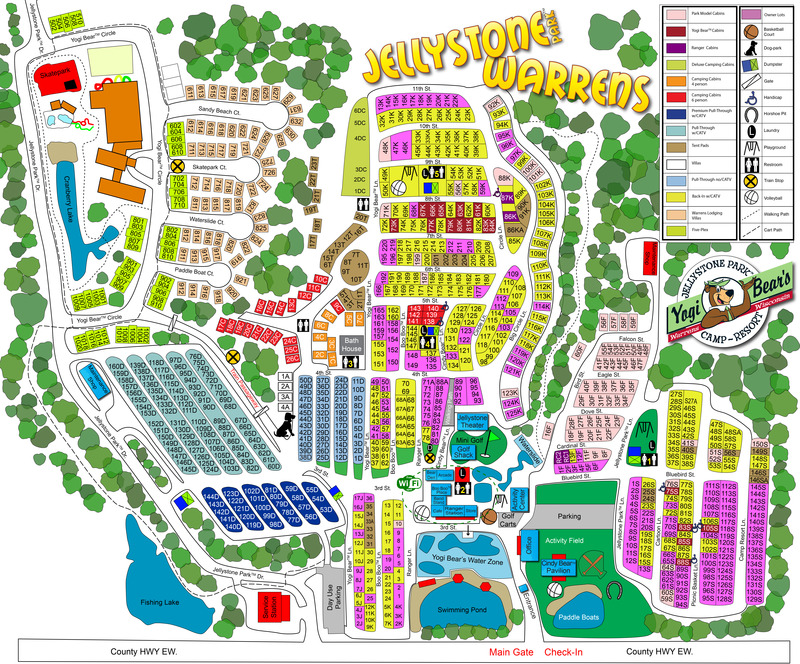 Ask fellow campers about "Yogi Bear's Jellystone Park Camp-Resort Warrens Wisconsin" and nearby attractions. Ridiculously expensive for an overnight stay. There is an aged super pool complex that everyone has to pay for. They should have a different pricing system for overnighters. Convenient to the interstate. We camped at Yogi Bear's Jellystone Park Camp-Resort Warrens Wisconsin in a Travel Trailer. Nice park, but could use some gravel up to the concrete pads. It was a wet weekend with lots of mud. Park is very clean and lots to do during the summer with pools, and lots of activity for the kids. We camped at Yogi Bear's Jellystone Park Camp-Resort Warrens Wisconsin in a Motorhome. Towards the end of September is Cranfest in Warrens. Thank you for camping with us! We are glad you enjoyed our grounds and activities. We appreciate the kind review, and hope to see you again sometime soon! Your kids should never be bored at the this campground. It's a great place to spend a week. Camp store is probably the most well stocked I've seen. It isn't the cheapest place to go, but I kind of liked that most things were included with your stay. My only complaint is that many of the sites were fairly unlevel. Our kids definitely want to go back and so do we. We camped at Yogi Bear's Jellystone Park Camp-Resort Warrens Wisconsin in a Fifth Wheel. This was our first time camping here although we have stayed at the adjacent Three Bears Lodge on prior occasions. While there are numerous water attractions and activities for the kids (which they enjoyed) this place is a very poor value. This was evident as the place was half full at best for the Labor Day weekend (despite their reservationist insisting it would be full and they would have to turn away people). The rate of $70 for a "deluxe site" is obscene, but they further tack on $8/day per person so the effective rate for a family of four is $102 per night. The sites themselves were fairly roomy, but many of the concrete pads were grossly out of level. Wi-Fi never worked. General maintenance is fair at best. For $60-70 per night total cost it would be a fair value, at $102 we will probably not return. We camped at Yogi Bear's Jellystone Park Camp-Resort Warrens Wisconsin in a Travel Trailer. This is our benchmark for family fun, and we keep coming back. While this park has had its ups and downs over the years, mostly due to ownership issues, the campus lends itself to days of fun. Under new ownership, Yogi's has really cleaned up its act. Bathrooms are cleaner, all attractions are open and the rules are actually now enforced. The sites are varied and always rather large, with seasonals peppered throughout. You will want to rent a golf cart and/or bring your bikes, as there will be plenty of trekking around during your stay. Multiple pools, a water park, a lazy river and a suger-sand-lined swimming pond ensure plenty of things to do. The new owners take safety pretty seriously, as we noticed more lifeguards who seemed to be far more attentive than in the past. Your wristband is your ticket to everything, as this park avoids the a-la-carté route and includes pretty much everything with your stay... even mini golf. When we stayed, we were often disappointed that the pools closed so early in the evening. Firewood can be pretty expensive, as are the aforementioned golf carts. We camped at Yogi Bear's Jellystone Park Camp-Resort Warrens Wisconsin in a Motorhome. If you have kids, this is the campground for you. Our kids are 3 and 5 and we had a wonderful time. There is something to do all the time. The water park is a lot of fun, but there is also the small lake that is surrounded on all sides by a sandy beach and is only about 5 feet deep in the middle, and there are also pools and a huge water slide located behind the ranger station (store/restaurant/bandstand/laundry/arcade). The place is huge so I recommend a golf cart, which you rent by the day. They show cartoons every night at 9:15 followed by a family-friendly movie and have themes each week. There is even a resort next door (that is somehow affiliated) called the Three Bears Lodge where you can go on rainy days and enjoy their water park for $5 a person if you show your campground wristband. Make sure you keep your stuff locked and night because we did have some stuff (beer) stolen from our cooler last year, but that is the only tiny bad thing that has happened during our stays last year and this year. They have activities every day starting with raising the flag with one of the Yogi characters every morning, candy bar horse races, chalk drawing contests and the list goes on and on. 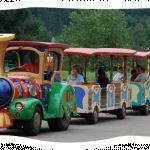 They also have two levels of mini golf (over age 10 and one for all ages), paddle boats, tandem bike rentals and a craft center. Sites are great - we love K7. We camped at Yogi Bear's Jellystone Park Camp-Resort Warrens Wisconsin in a Travel Trailer. This is a great place to go for a vacation. There is plenty of water activities for the kids, pools, water slides, lazy river and a wave pool. There are plenty of life guards and they are polite. The pond with the sandy beach was a blast. The grounds were clean, the staff friendly, and the sites were big. This was the first place I stayed with cable TV and it worked great. We did not eat at the restaurants but heard the food was good. We had a blast and plan to go back. We camped at Yogi Bear's Jellystone Park Camp-Resort Warrens Wisconsin in a Travel Trailer. We stayed here a couple times and can't stand the golf cart rental part of it. They say "must have valid drivers license" to drive but found that it is not enforced very well. 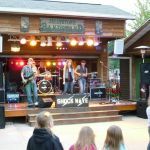 We camped at Yogi Bear's Jellystone Park Camp-Resort Warrens Wisconsin in a Motorhome. This was our 4th trip to this campground. They recently went through bankruptcy and have new owners. The campground is separate from the lodge hotel and villas. The lodge hotel and villas were not open or operating when were were there. We have always had wonderful stays with them. We arrived on the Thursday before Memorial Day and it was like a ghost town. The campground was clean but they did not have any of the grass mowed before this big weekend of camping. Check in was very fast. We had reserved a golf cart and that check in was also very speedy once they found someone to handle the check in. We did end up have a bad battery in the golf cart so we had to take it back to get another one. They were very accommodating. I'm going to rate this 8 instead of 10 because we had a problem before even arriving. We made our reservation back in January of 2009. 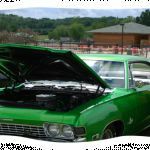 Paid for it in full and were given a confirmation number and site number as well as a hard copy confirmation with all the information regarding our upcoming reservation. So the week of our trip on Monday I called to just verify that they had all of our information etc. When I called they verified everything and said see you this weekend. Then, we got a notice from our bank that we had a credit from Jellystone Park Warrens. So I immediately called again and Sheryl claimed that we cancelled out reservation due to the wife having knee surgery! Neither myself nor my husband cancelled our reservation! So, I nicely told them to fix it. She then informed me that she could not give me the site that we had been told we were supposed to be in. She then got very defensive and rude with me so I asked for a manager. The manager proceeded to tell me it was my fault and that I cancelled it, which I never did. They refused to give me my site back but did put us in another one 2 rows back and gave me one night free. They apparently need to figure out a cancellation policy and or process. I would have never know that our reservation was cancelled had I not gotten a credit notice from my bank. We would have arrived there is no reservation. The other reason for the 8 out of 10 is that the BP Cranberry Express had gone out of business and was closed which means you have to get off at a Tomah exit to fill up with gas to get back home. We had a 3 1/2 hour drive home. It was such a hassle to have to get off the interstate again and fill up and then get back on when we used to be able to do it right there after unhooking the truck. They still need to do some work to get back to where they once were. We would consider going back as we just haven't found anything with the variety of things for the kids to do. We camped at Yogi Bear's Jellystone Park Camp-Resort Warrens Wisconsin in a Travel Trailer. The atmosphere of Jellystone is falling! Used to be "family friendly" and this year workers acted as they didn't care. Cleaning and garbage pick up was poor, attitudes were poor and no one cared. Maybe to do with financial problems and rumors of park closing. Hope it come back to what it was! Maybe with a new owner. We camped at Yogi Bear's Jellystone Park Camp-Resort Warrens Wisconsin in a Fifth Wheel. We were there during the week and the place was busy. Would not come on the weekend. Very fun for Kids seven and under. Older kids got a little board. Sites are nothing great,but that was fine cause we did not spend much time at them. One drawback was teenagers flying around on golf carts at night. Do not come here if you want quiet. We would return with kids only. 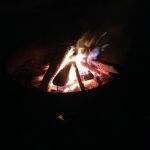 We camped at Yogi Bear's Jellystone Park Camp-Resort Warrens Wisconsin in a Motorhome. My family had a great time! Something for everyone! The water park/pool area was awesome. There are projects to keep the kids busy and entertained. The live music and dancing for the kids was great. They really enjoyed it. (I even saw a few grandparents enjoying dancing with Yogi) We camped at Yogi Bear's Jellystone Park Camp-Resort Warrens Wisconsin in a Travel Trailer. This park is expensive unless you visit on one of the discount weekends. We stayed over Labor Day for $95 per night ($55 base rate, + $8 per family member). I had initially thought it was a good deal as compared to camping somewhere and paying extra for a stand alone water park. But I then reconsidered and realized that the water park facilities are much smaller than what you'd find at a stand-alone water park. Secondly, when you consider check-in and check-out times you'll only have time to use the water park on one of every two days. Arrive Fri at 4pm and leave Sun by 11am and you'll likely only use the water park on the full Saturday. So you're paying $16 per person for the water park. In the future, I'd rather stay at a less expensive campground and pay separately for water park access at one of the larger water parks in the Wisconsin Dell's areas. Security is non-existent in this park and the golf cart drivers are very dangerous. At $60 per day (who are they kidding) the park has no interest in encumbering the underage drivers despite the fact that they supposedly require a driver's license to drive one. The 5mph speed limit isn't enforced at all. No kidding- it really is especially dangerous at night if you have kids. Keep them off the roads. Some geniuses brought along an industrial spotlight so that they could play soccer until 1am. No park security to deal with that issue and our camper was lit up like a candle from their light. This park is right next to an Interstate and the road noise is very loud at night. Camp store has very expensive prices and what very little inventory they still had left, and on-site gas station store has no fresh vegetables or even an air hose! We had a leaking tire and had to drive into town for air. There is a Super Wal-mart about 10 miles away in Tomah. Virtually no parking for cars at the water park and lodge, as spaces are reserved for golf carts only. They have a cute express train to go to the neighboring hotel property, but it takes too long after they conveniently drive by all of their time share properties. We went to the hotel for advertised free craft activities, and they were out of stock on most of the free projects. Most of the craft projects that were left were all very expensive, and the ploy of having the craft projects at the hotel allows them to drive you buy the time share project again. The outdoor water park at the hotel that was advertised as being available as part of our fee was closed. WiFi Internet access didn't work at all either. Outdoor Yogi theater was nice, but nearby rock music pavilion noise drowned out the volume from the cartoons making them almost useless to watch. First park we've ever checked in to that gave us only a one-page handout with no explanation on facility usage. Teenage kids working at the various amenities were next to useless. Had no idea if we had trash pickup or not and we drove into town to get WIFI access in order to log onto their website for the schedule! We'll never stay again at this expensive park that doesn't deliver on what is promises on its website. Don't be fooled by their fancy website and virtual tour. We camped at Yogi Bear's Jellystone Park Camp-Resort Warrens Wisconsin in a Tent Trailer. 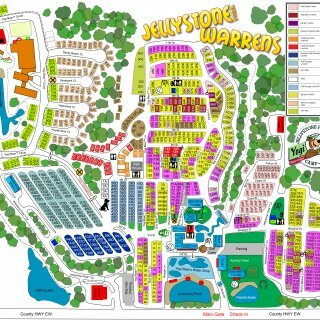 Are you affiliated with Yogi Bear's Jellystone Park Camp-Resort Warrens Wisconsin ?